Hello. It seems every time I write this blog now I am apologising for the delay between posts! If you want to check out the reason click here. So back to book reviewing! For those that follow this blog, Emily Goodwin’s Contagium Series has been a firm favourite of mine and since it was picked up by Permuted Press, I have had to wait nearly two years for the release of the new book. However, Contagious Chaos didn’t disappoint. As I have previously stated, I love this series. It was the first zombie book that I picked up that was actually ok. I know many people love this sub-genre but I just never found it that interesting. I was also never over the whole eating people’s brains thing. However, Orissa is such a strong and interesting character that you become invested in her life and her quest to survive. Any book that can make you continue to the next has to be doing something right! The twists are as usual, sublime and although some coincidences are just too useful, you don’t exclaim at their sheer audacity to exist (*cough*The Templar’s Quest*cough*). The fight of human vs human brings a great moral dilemma and shows how Orissa has to deal with that idea. (Although I am sure it is easier to kill people who tried to kill you than a Joe Boggs.) Obviously, Hayden and the other men have all got military backgrounds, making it easier for them. Still, they all marvel at the fact that instead of helping some of the few remaining survivors, they are plotting their demise. The end isn’t a cliff-hanger as the other two books were but it definitely changes life at the compound significantly, for better or worse to be determined next time. Overall a solid third outing for the Contagium Series and check out the excellent new book covers! Being more traditionally published certainly has its advantages! My verdict 9/10. Same standard as the last two and I can’t wait to read the fourth! 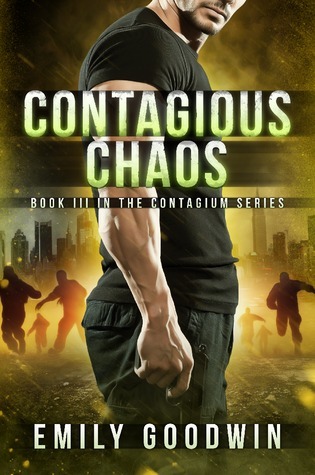 Well, after reading “Contagious” and loving it, I had to carry on with the story so here we are with book number two in the Contagium Series. This was originally meant to be a trilogy. Goodwin obviously had this so much in her head that the book covers say Contagium trilogy. However, like many supposed trilogies, a series was born. Whether this be Goodwin’s idea or her new publishers idea I do not know but I am intrigued as to how she can make this into four book as I feel that this one has set it up perfectly for three. We start off where the first one left. Orissa is having to race back to the compound to save Hayden. She gets him back and is sent out straight away with a different team to normal to try and get some vital medical equipment and drugs for the compound (and Hayden). During this mission, she is left behind (something that her normal team would never do) and she is forced to try and survive alone in a Zombie infested world. She ends up falling sick and landing in the sick and incestuous hands of a hill-billy family who have taken it upon themselves to re-populate the earth. She escapes and saves a young girl, returning to the compound and her friends. Her and Hayden finally acknowledge their growing attraction to one another and consummate their love, several times. The compound is attacked meaning all the ‘A’s have to go and defend. A few soldiers are lost in the fight but the compound is saved! Yey! Orissa and her team are sent out again and this time they check out the weird symbols that lead up to Hayden being shot. The guys recognise a car and crew driving as to be the ones who shot Hayden so obviously they follow to see where they lead. We are left on another cliff hanger, this time I have to wait a year for the conclusion! This is as good as the first. The danger is still real, Hayden being shot, Orissa being kidnapped by a mentally ill family, rescuing civilians and killing Zombies. The end is another cliff-hanger and I am fine with that as long as the final book is not a cliff-hanger. I want closure from this world. The characters are truley your friends and I do wish we saw more of Ray, especially if her and Ivan become an item that would really be interesting. Orissa isn’t the usual heroine type. She is reckless, abrasive and very direct. I love her for all those things though and I believe that it is this which makes this book not just another Zombie apocalypse story. My verdict: Another solid 9/10. Well worth a read. The next one is out Summer 2014 so if you can’t handle cliff-hangers, wait until that is out before reading these two! This book was first privately published, this meant that Emily Goodwin used the internet and e-books to get her story out. It has since been picked up by a publishing company but only after the success she has managed to achieve on her own. Full credit must go to Ms. Goodwin for not giving up on her story and still getting it out there to the public. I am not usually one for Zombie stories. I’ve never seen “21 days” later or “Dawn of the Dead” and the “Walking Dead” tv show has never appealed. So why did I chose this story? Simply, it was recommended by Amazon for my Kindle. The reviews were promising and I never judge a book by its cover. Plus, due to either books now being free or ridiculously cheap, my reading horizons have broadened. We start with Orissa drunkenly stumbling home to her Aunt’s house. We see she has been in trouble recently and seems to be some sort of party trouble maker. She develops appendicitis and has to go to hospital for surgery. Cut to her returning to the hospital for a check-up and all hell breaks loose. It seems that some sort of military control is exercised with gas bombs exploding and we next find Orissa in the basement of the hospital with many sick patients, one doctor and a few nurses. 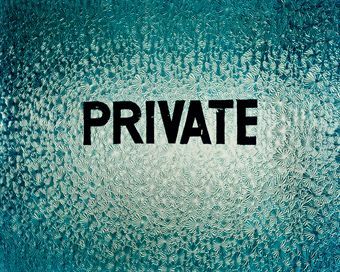 We find out that there has been a virus epidemic and that this virus has made people into ‘Monsters’. Orissa unwittingly becomes in charge of this little band of sick people as she seems to have some sort of background enabling her to understand danger and to overcome that danger. Escaping with the few remaining able bodied people, Orissa goes on a journey to rescue her best-friend, save her new comrades and find a quarantine compound. The little group is saved from a Zombie attack by a group of soldiers who tell them of a compound with a few hundred survivors. Orissa is given the high title of A1 (soldier who goes on raids and looks for supplies and survivors) due to her impressive skills such as hunting, tracking and shooting any type of weapon (including a bow and arrow). She develops an easy friendship with her room-mate, Hayden, and we are left with a shocking ending that cliff-hangs until the next instalment. For a Zombie apocalypse book this is good. As I said before, I am not usually into this genre but this series has converted me slightly, as in I will now be more willing to read past Zombie in the blurb before putting it back on the shelf. The characters are beautifully crafted and you believe in their relationships, losses and victories. Ray is a great best friend to Orissa and is one anybody would be lucky to have. Padraic is the guy next door who just happens to be a doctor. And Hayden? Well Hayden is just drool worthy and a nice guy – only books right? The scariest part of this series is how true it could be. This Zombie disease is literally that, a disease that no one knew how to stop. Not so far-fetched as first appears. All in all a great start to the series and big congratulations to Emily Goodwin for persevering to get her books read through the internet and finally getting picked up by Permuted Press. My verdict 9/10. I hope the others in the series are just as good!